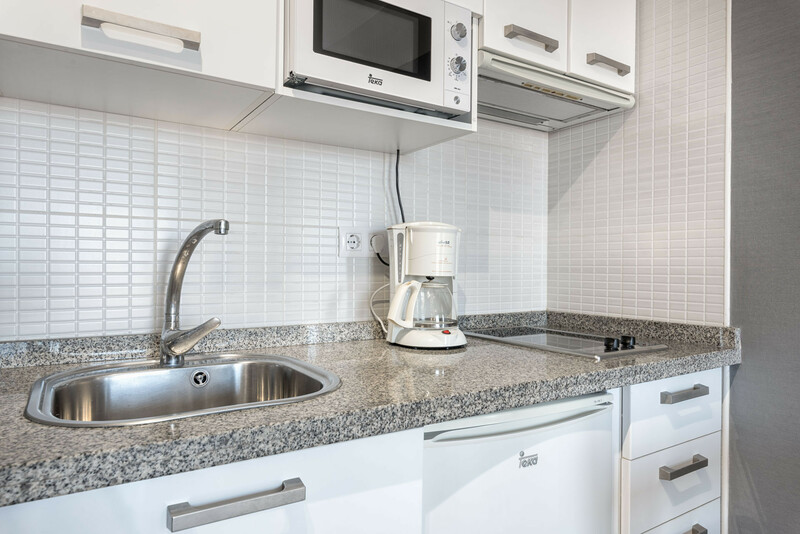 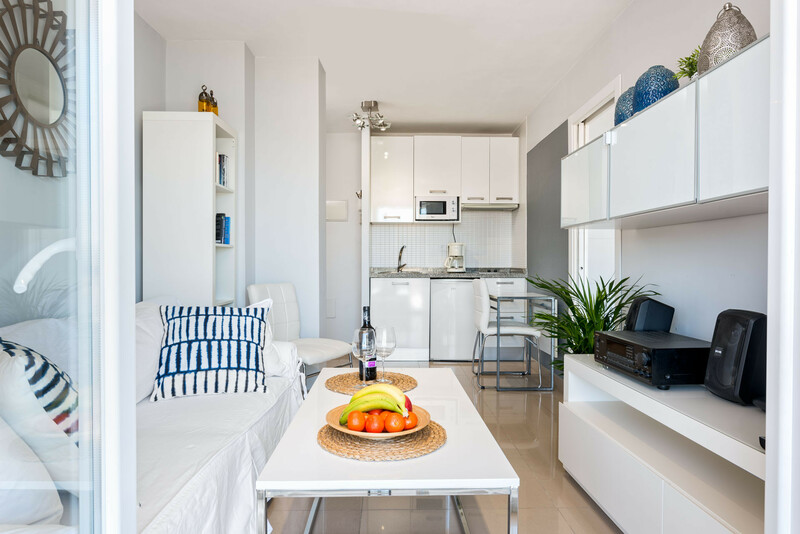 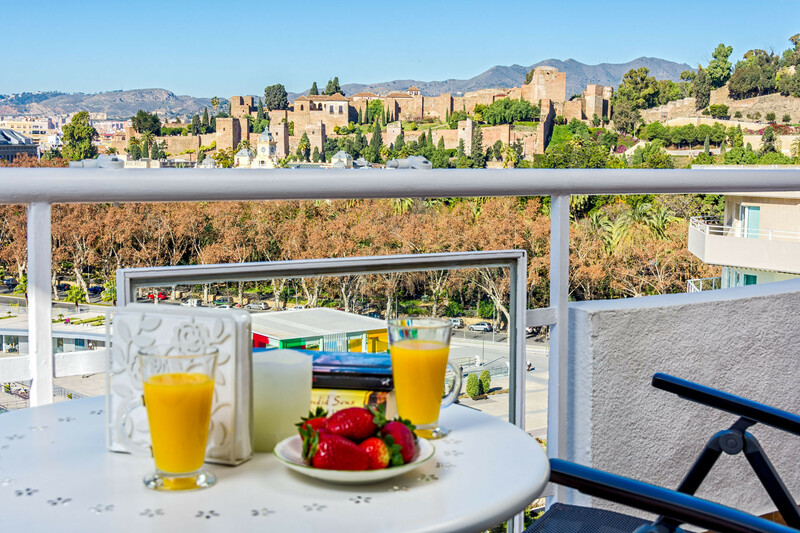 This holiday apartment in Malaga city is located on the 10th floor of a building with lift in the neighborhood of Malagueta only a few minutes' walk from the beach. 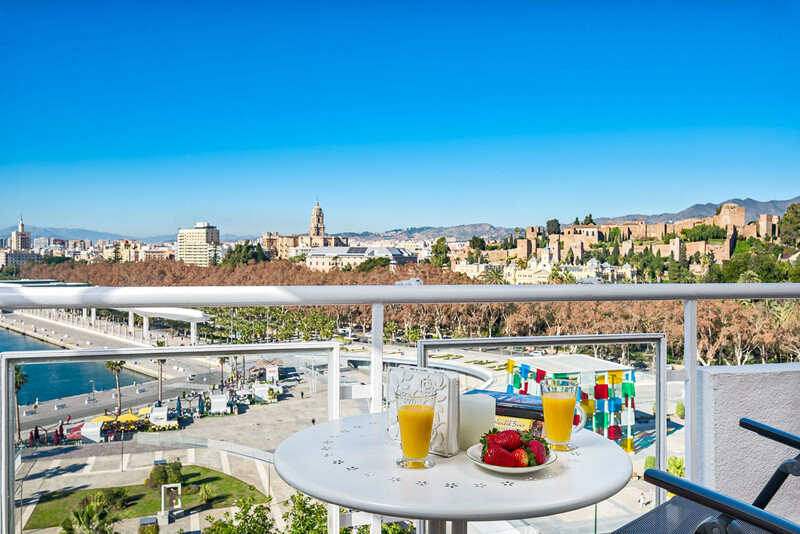 The area is one of Malaga's most coveted. 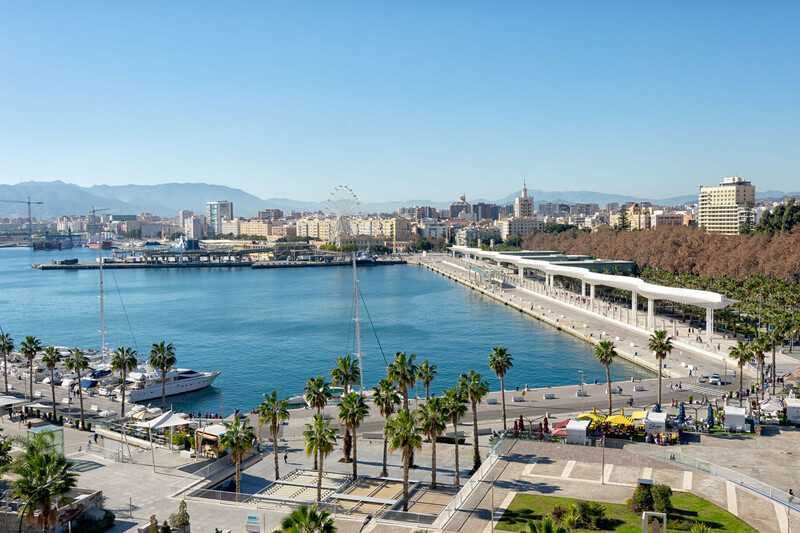 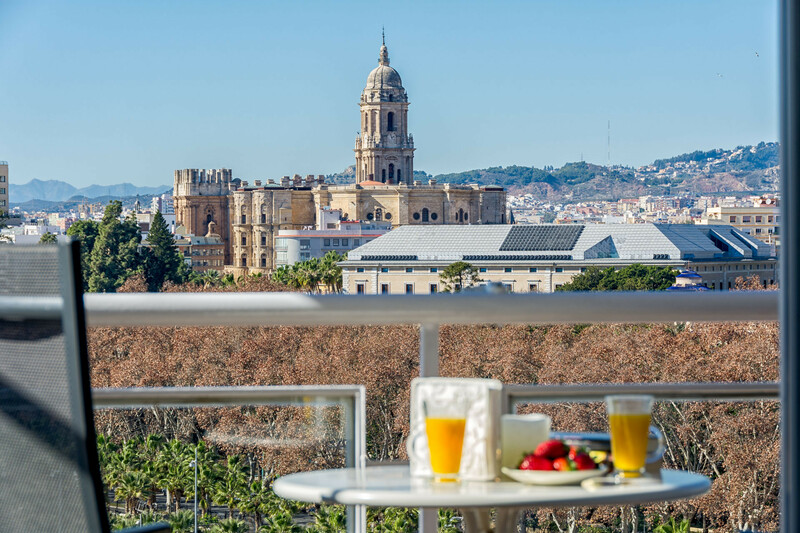 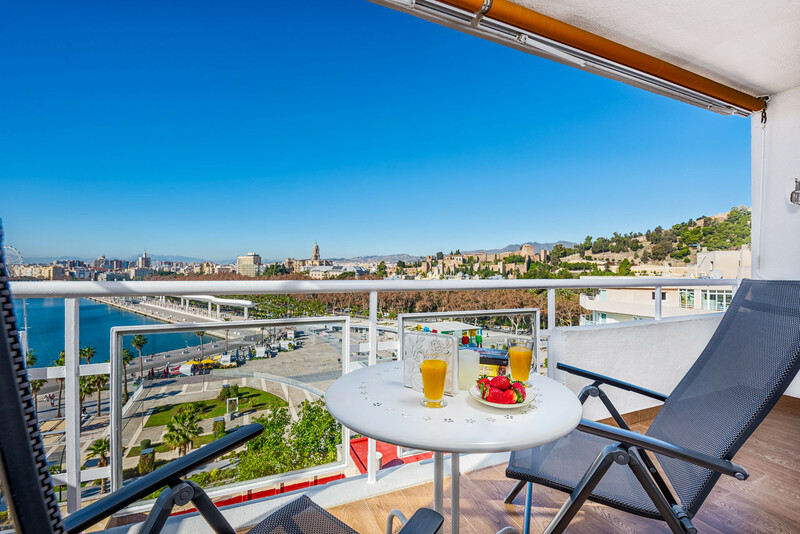 With its stunning location and amazing views this, this beautiful newly renovated holiday rental offers the best opportunity to enjoy a perfect city break in Malaga. 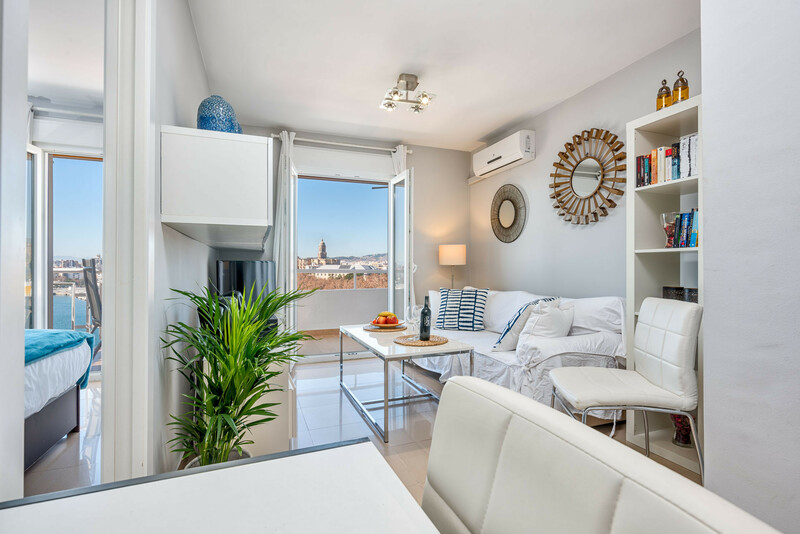 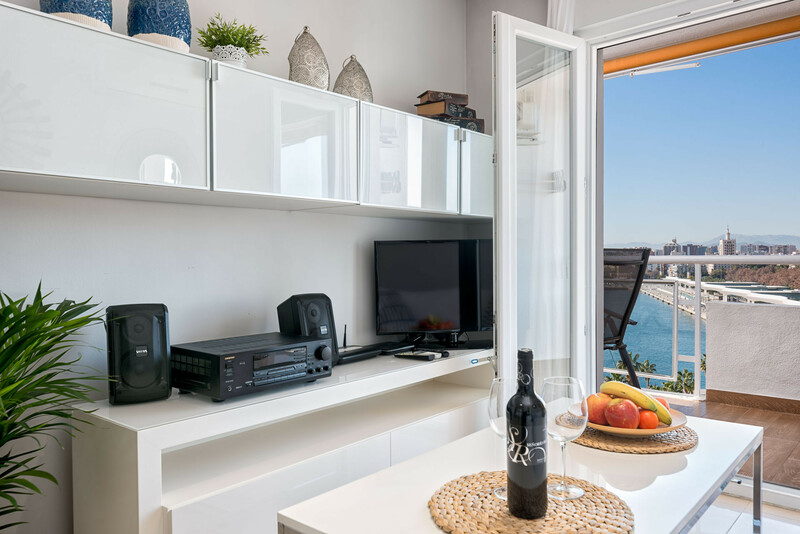 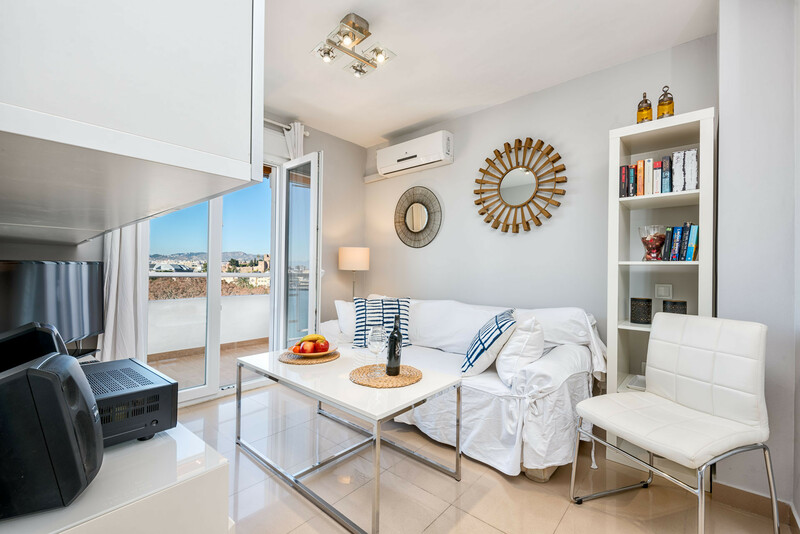 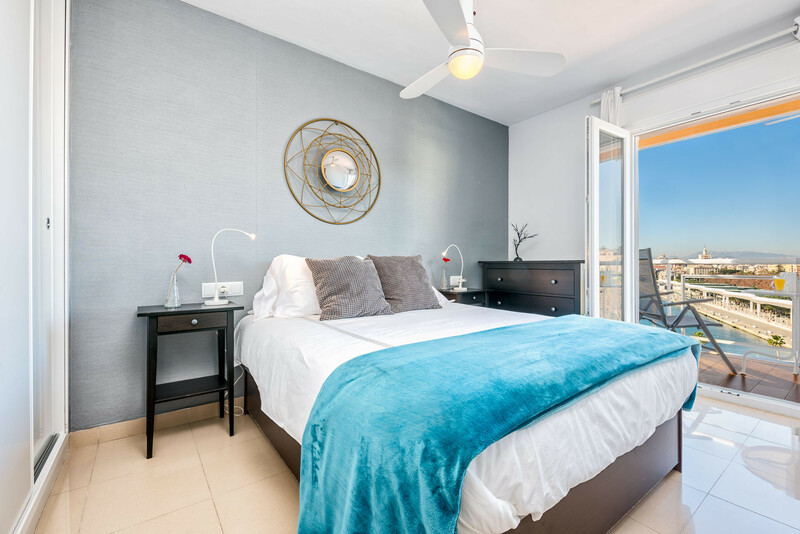 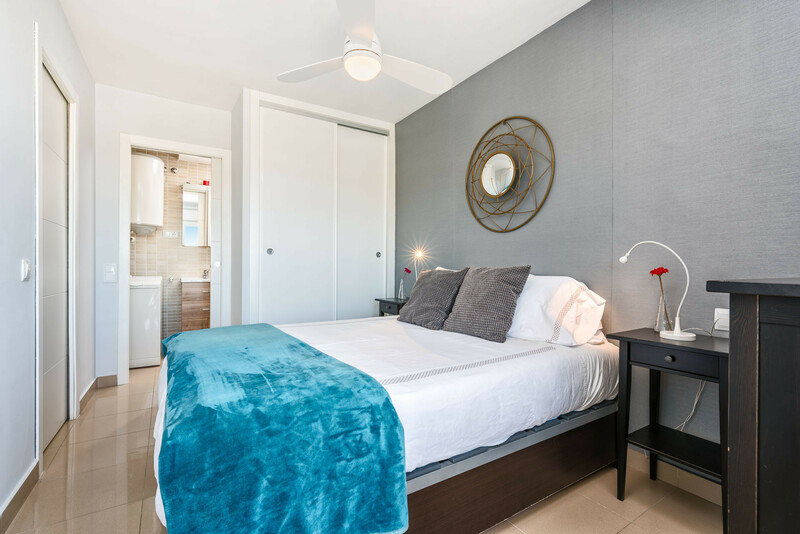 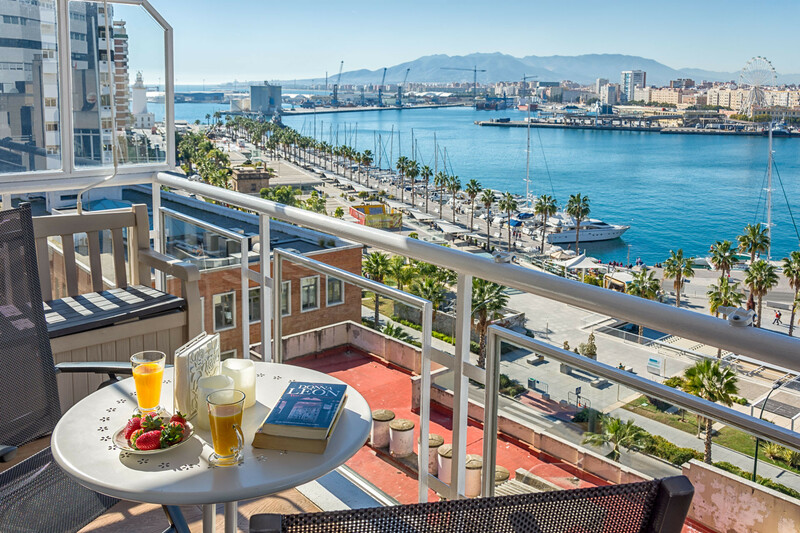 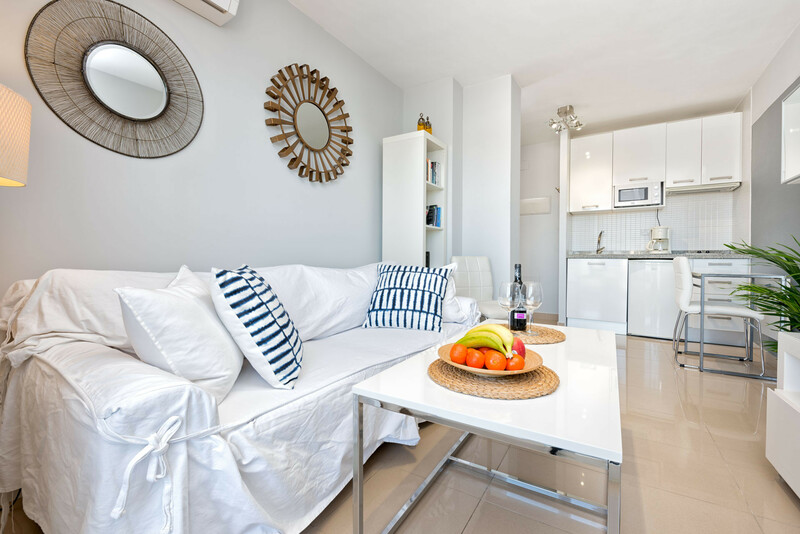 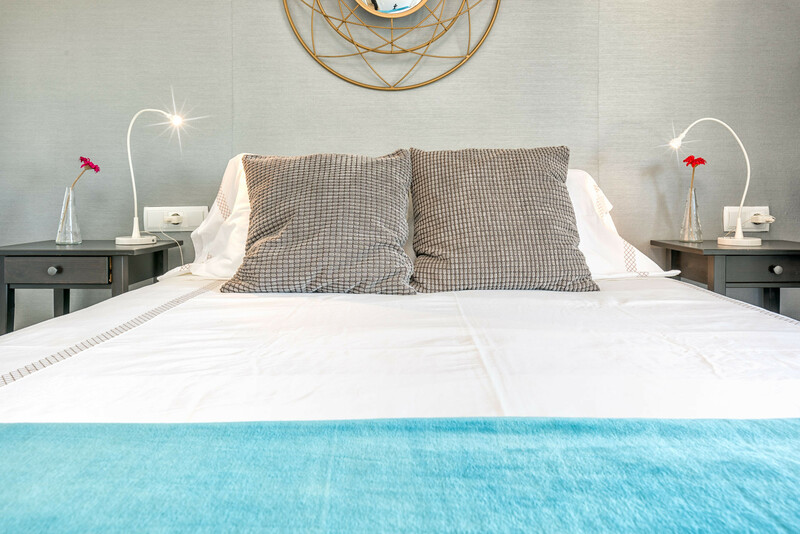 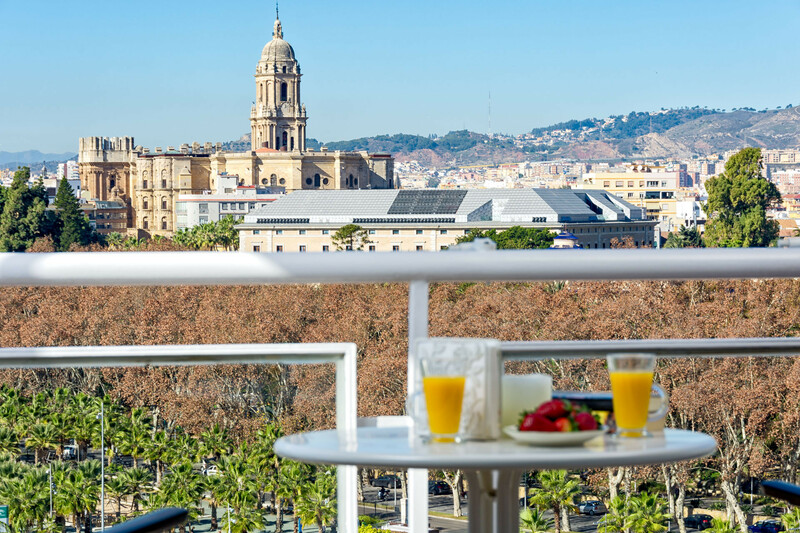 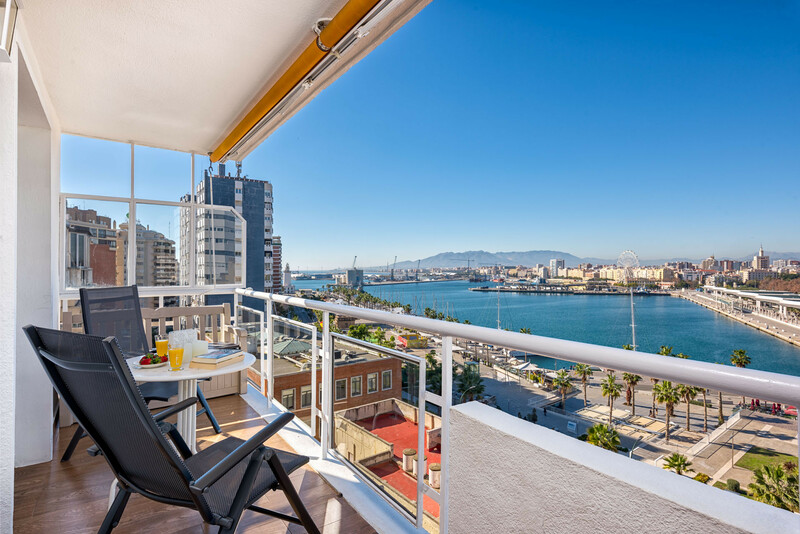 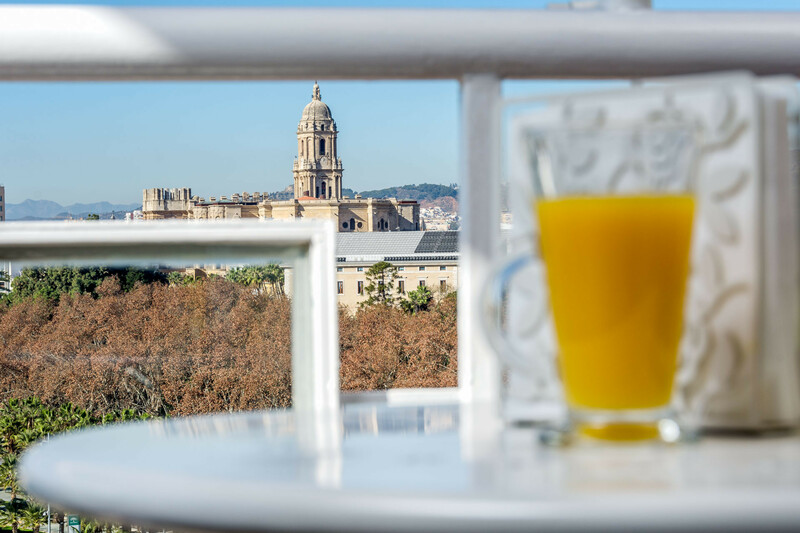 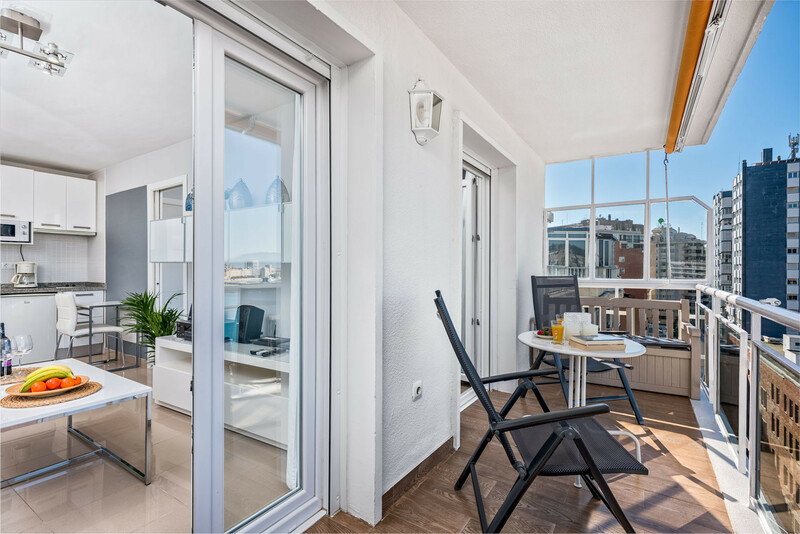 The apartment consists of a living room with sofa, flat-screen TV and an open kitchen and access to the charming terrace overlooking the harbour Muelle Uno, The Cathedral and the Castle Alcazaba. 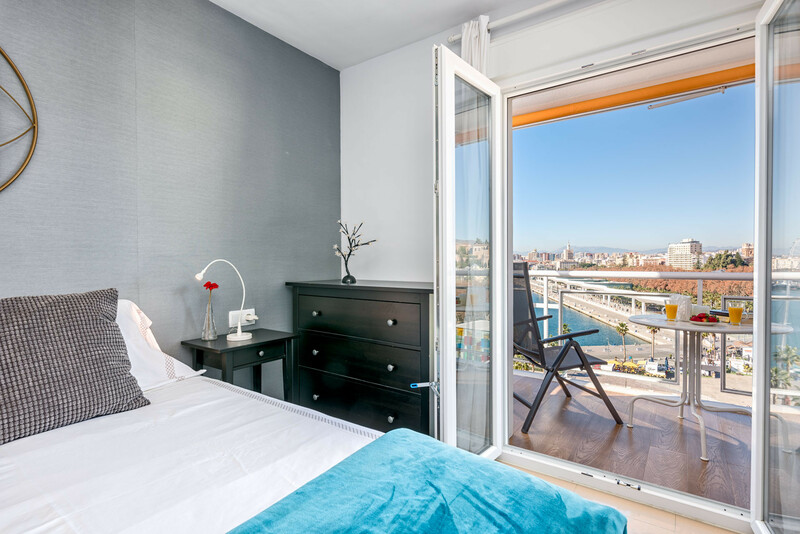 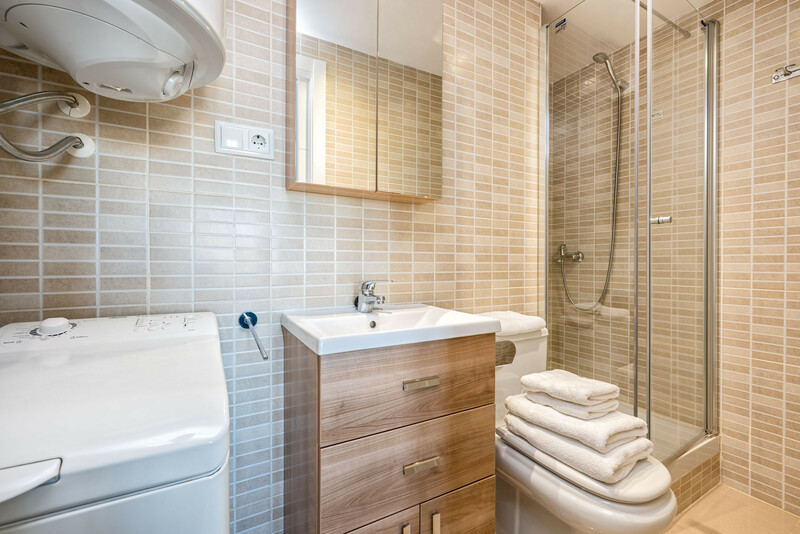 The bedroom offers a double bed, wardrobes and direct access to bathroom with shower. 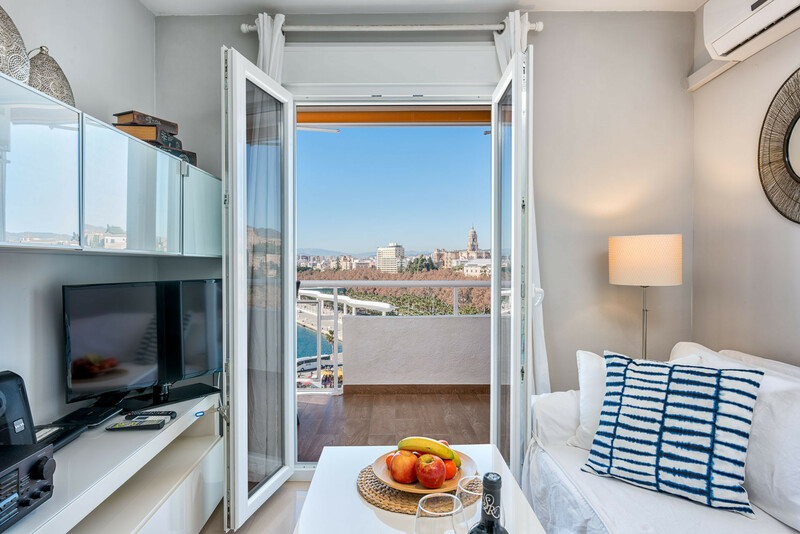 From the bedroom there is also access to the beautiful terrace. 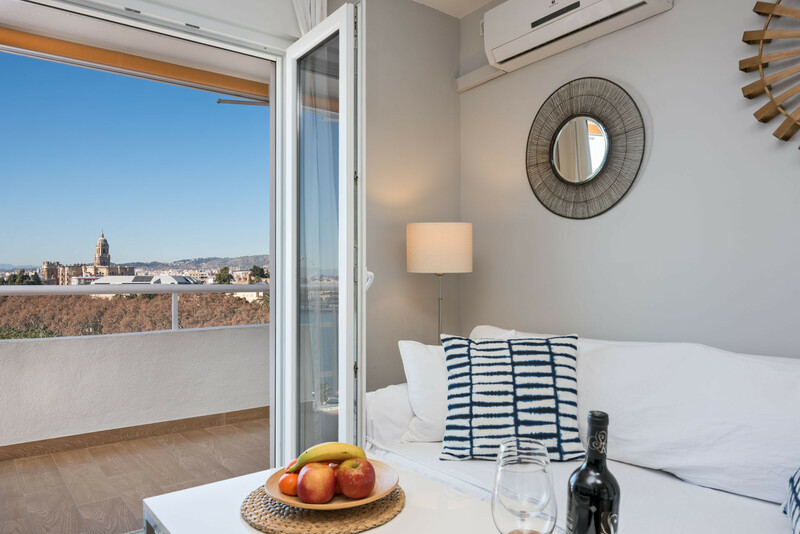 We offer air conditioning, free Internet and parking for 15 € per day. 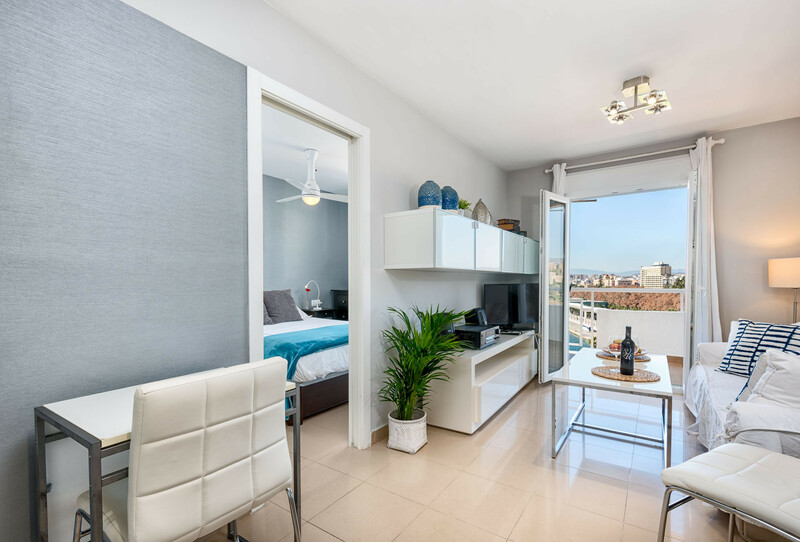 1 TV, 10rd floor, lift, 8 m² terrace, iron, internet (Wi-Fi), hair dryer, 45 m² property, air conditioning (hot/cold), air-conditioned, Garage in the adjoining building, 1 fan.